Two days of the Russian Air Force operation in Syria have resulted in bombing nearly three hundred terrorist facilities in eight Syrian provinces, the Defense Ministry said Friday. On November 11-12 Russian warplanes delivered airstrikes in the Syrian provinces of Aleppo, Damascus, Deir ez-Zor, Hama, Homs, Idlib, Latakia and Daraa, Major General Igor Konashenkov, spokesman for the Russian Defense Ministry, said in a daily briefing. 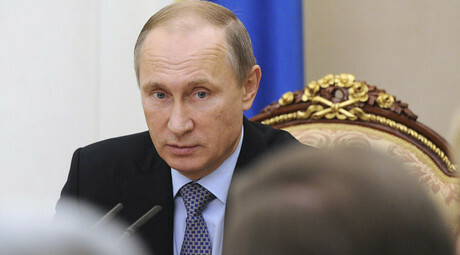 “The airstrikes resulted in the elimination of 34 command observation and operational posts of the armed gangs, 16 munitions and fuel storage depots, two workshops producing munitions and homemade explosive devices, three field and training camps, 50 strongholds with military hardware and fire units, 184 fortified localities and defense positions,” Konashenkov reported. Islamic State’s (IS, formerly ISIS) stronghold and a field ammunition depot have been eliminated in one sortie by a Sukhoi Su-24M bomber near Thaniet al-Rajma pike in Homs province. “A direct hit onto terrorists’ engineer installations completely destroyed them along with three mortar detachments and a field ammunition depot,” Konashenkov said. An air reconnaissance in Syrian province of Deir ez-Zor near the town of Mayadin exposed a convoy of tank trucks transporting crude oil towards the Iraqi border, in the direction of the oil processing facilities controlled by IS. A notice was immediately passed to a Sukhoi Su-34 bomber patrolling the area, which delivered an airstrike on the convoy. “Objective control data confirmed complete elimination of the tank train,” the military spokesman said. A Sukhoi Su-34 also bombed out large munitions depot belonging to Al-Qaeda’s affiliate Al-Nusra Front in the suburbs of the town of al-Latamna in Hama province. 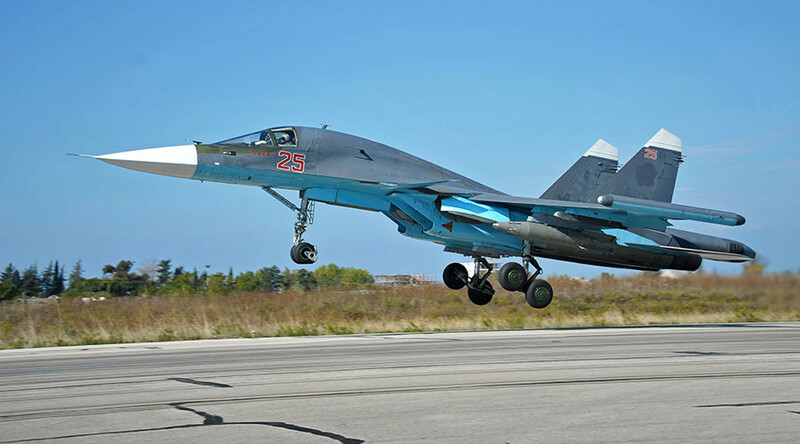 “A Su-34 bomb strike demolished two building the militants used to store jet-propelled projectiles, artillery and mortar shells and other munitions,” Konashenkov reported. According to Russia’s Defense Ministry, Syrian citizens are joining national self-defense units, which play an active part in operations against the jihadists. 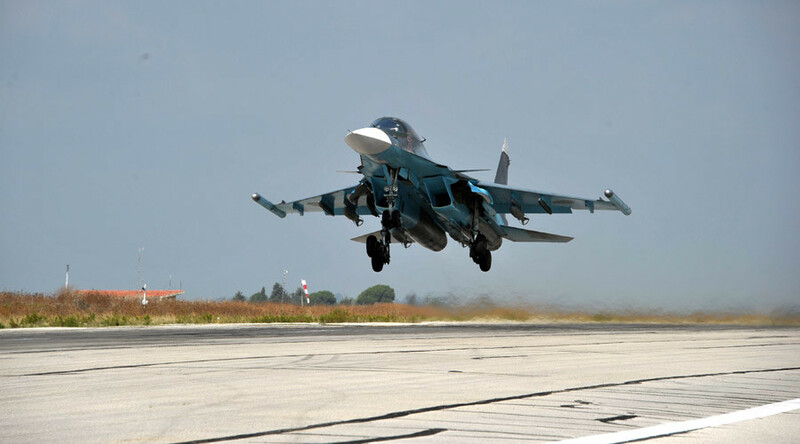 Around 4,000 people have apparently already signed up.Intensive daily sorties by Russian fighter jets enabled the Syrian Army to lift the blockade of the Kweires Airbase of the Syrian Air Force, which remained under siege for nearly three years, Konashenkov told Ruptly. “I want to specifically stress that information about terrorist strongholds around the Kuweires Airbase was passed to us by the Syrian opposition,” he said on November 11. The data was cross-checked, additional reconnaissance was conducted and only after that Russian bombers eliminated the targets, the spokesman revealed. On Friday, Russia’s Defense Ministry’s spokesman also rejected information appearing in the media about deployment of S-400 Triumph missile air defense complexes to Syria. “There have been no S-400s [at Khmeimim airbase] and none there are. This is disinformation,” Konashenkov said, explaining that deployment of this complex with many integral systems would simply demand a large area, which is definitely not the case with the Russian operational airfield near Latakia. More than 50 aircraft and helicopters, including the Sukhoi Su-34 and Su-24M bombers, Su-25 attack aircraft, Su-30SM fighters and Mil Mi-8 and Mi-24 helicopters are taking part in Russia’s ongoing military operation against terror groups in Syria. Russia’s Caspian Flotilla ships also delivered a massive strike on ISIS targets in Syria using Kalibr NK ship-born cruise missiles on October 7. Kremlin has repeated on multiple occasions that Russia’s military forces would not take part in any ground operations in Syria.